The war in the Pacific in 1945 was not a foregone conclusion due to Japanese fanaticism designed to protect the homeland at all costs. Take ten questions on this bloody year to end a campaign that took millions of lives. 1. What Japanese homeland island was attacked and taken by US marines in February, 1945? 2. In March, 1945 a fire-bomb attack by the US on Tokyo resulted in the deaths of how many? 3. In April, 1945 what Japanese island was attacked and taken by US forces? 4. What was the cause of the only US deaths due to Japanese hostility on the US mainland on May 5, 1945? 5. In May, 1945 what Asian nation was divided into two as part of a strategy to eradicate Japanese forces? 6. On August 6 and 9, 1945 what two Japanese cities were attacked with atomic bombs? 7. The Soviet invasion of what area also prompted the Japanese leaders to accept surrender terms? 8. What was the Kyujo Incident that took place on the night of August 14, in Tokyo? D. A deputation led by Prime Minister Suzuki trying to convince the Emperor not to surrender. 9. 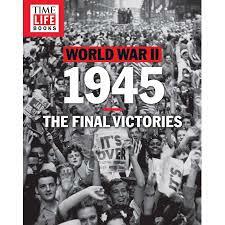 On September 2, 1945 the Japanese surrender was signed on board what U S ship? 10. Which U S General took command of the Japanese government in September, 1945?